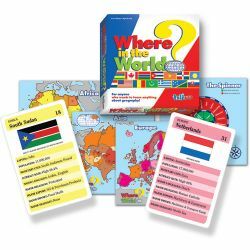 When “Where in the World” was introduced more than 20 years ago it launched the trend in geography games. 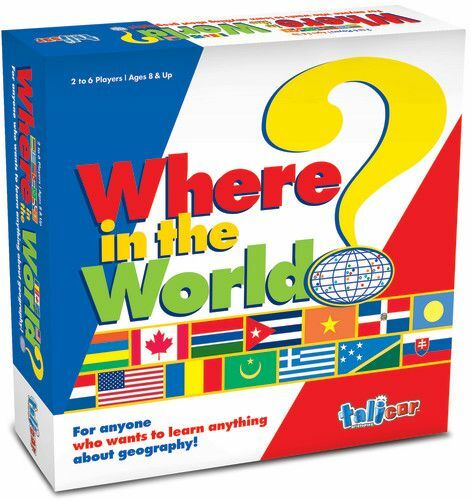 Today, this games remains the most comprehensive geography game that families and classrooms love! 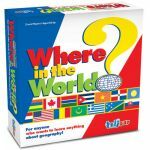 The game has been updated to include the latest facts and the “Where in the World” brand. 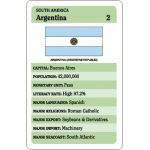 Designed with multiple game play to accommodate all learning levels and incorporate current news and events. 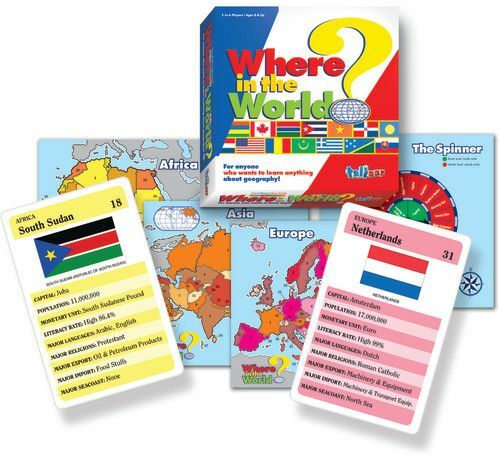 Can be played by individuals or an entire classroom to build a solid base of geographical facts about every country or state! 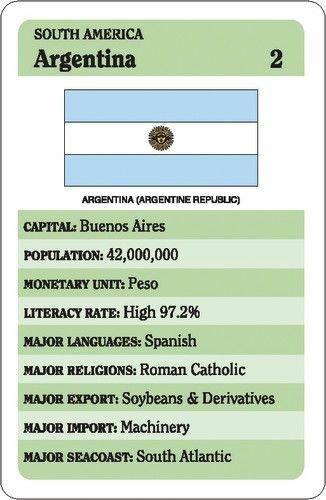 2–6 players. Made in the U.S.A. Ages 8 and up.